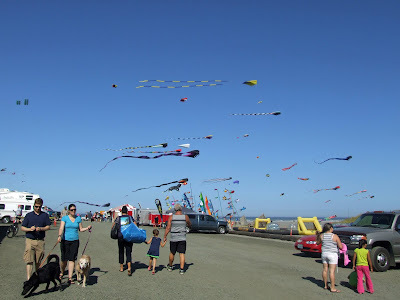 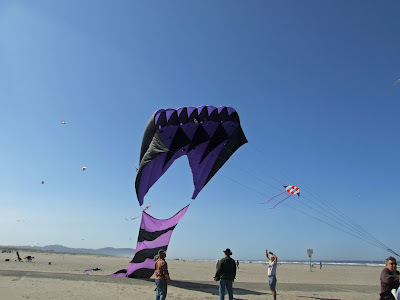 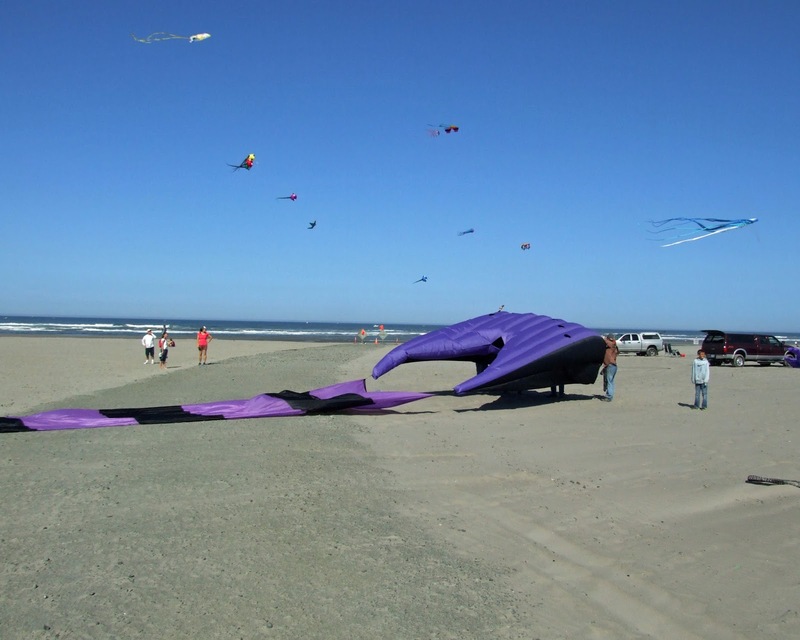 We arrived at the beach around 9:30 in the morning; giant kites were already being launched into the sky. 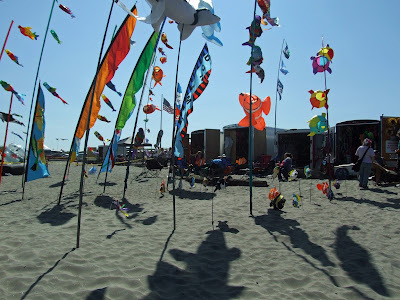 Day two is mostly a day for us to wander around meeting old friends, making new ones and taking lots of pictures. 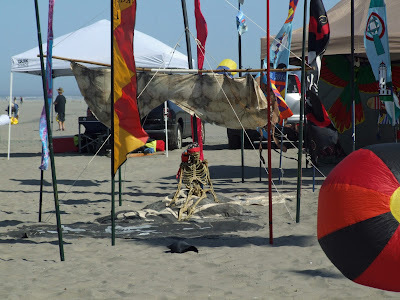 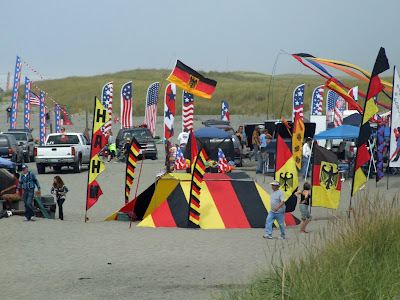 The days events included a camera workshop, a photo walk and judging of 'Club Camps;' Club camps are ground displays set up by teams and can include ground art, banners, flags, tents, kites 'at rest,' people in costume, pets and anything else your imagination can come up with. 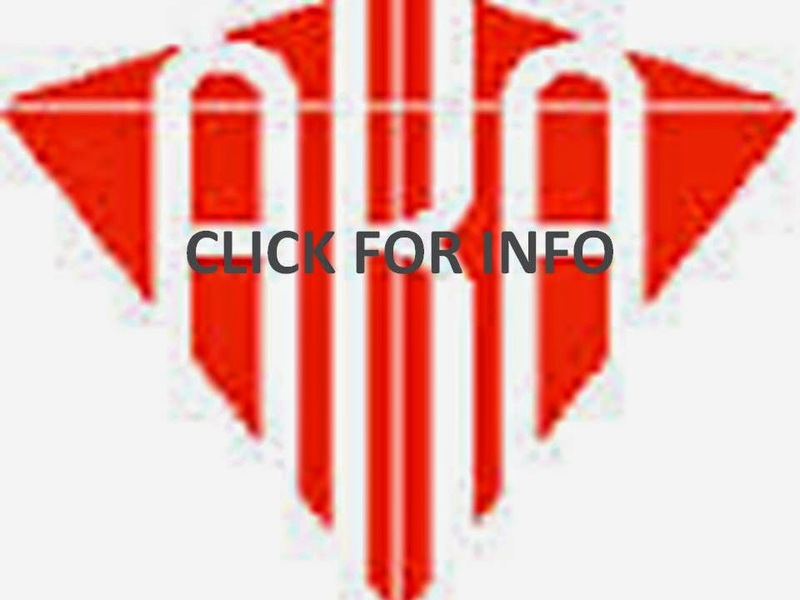 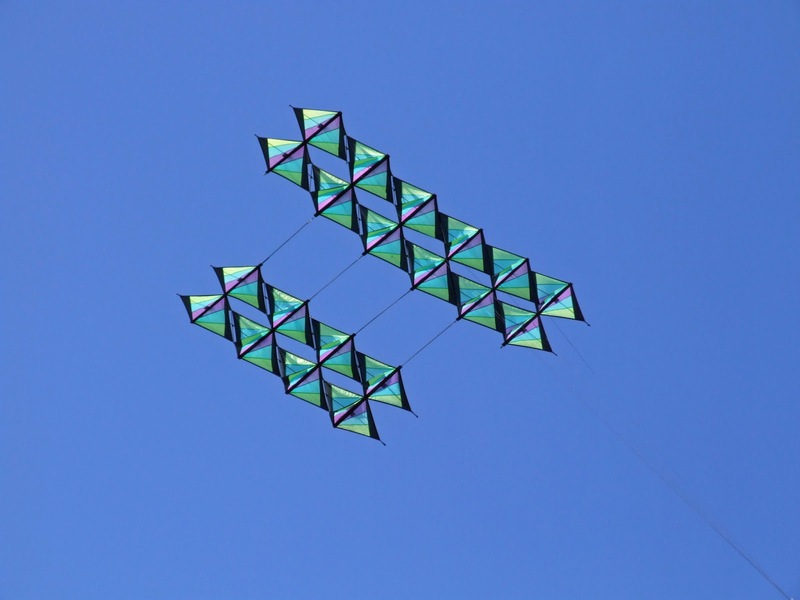 Judging is based on color coordination, artistic merit, innovation and overall presentation. 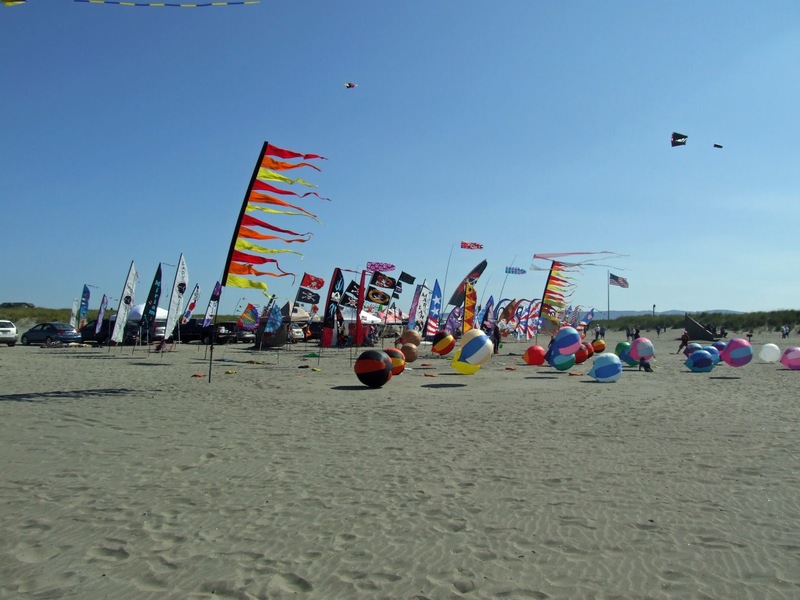 The day also included Individual and Team Rokkaku Kite Battles. 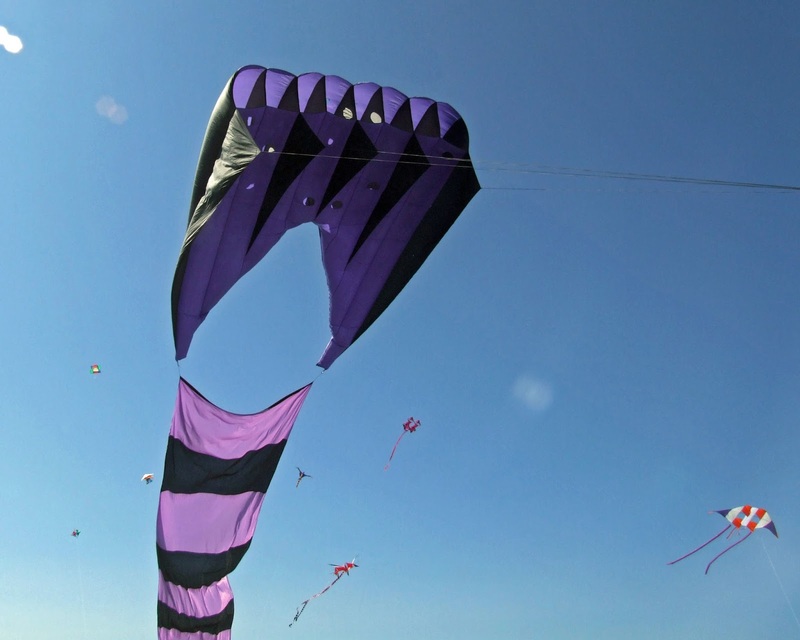 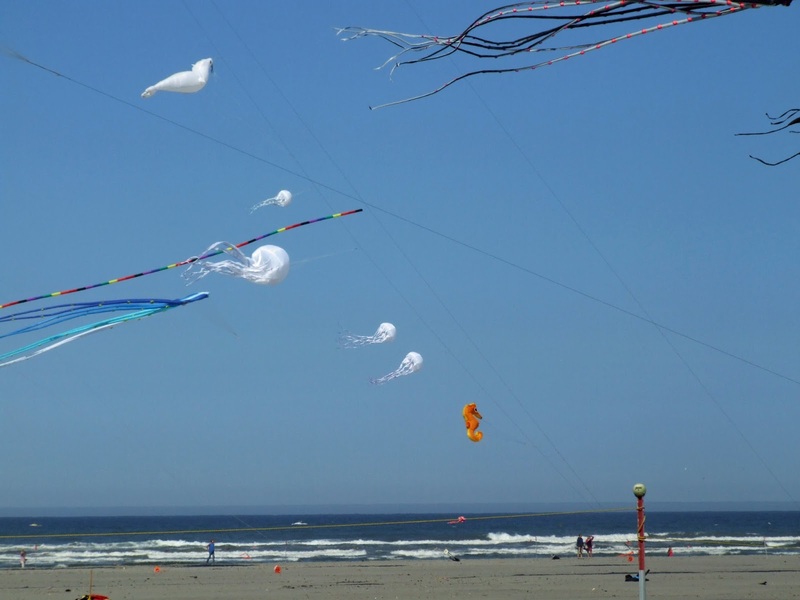 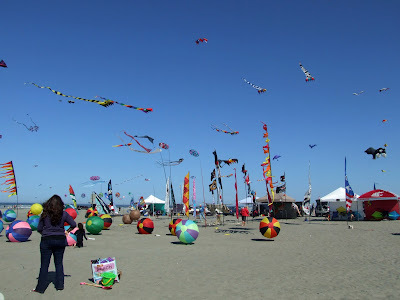 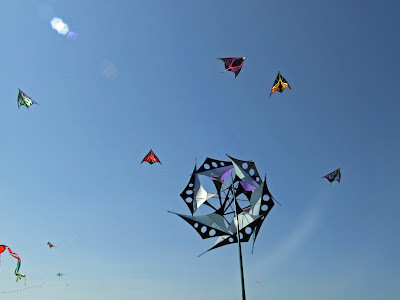 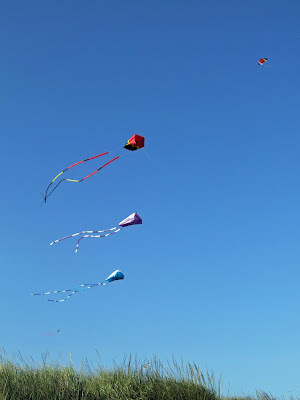 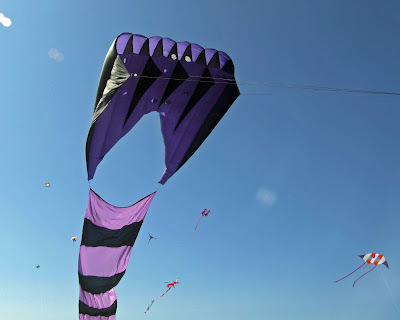 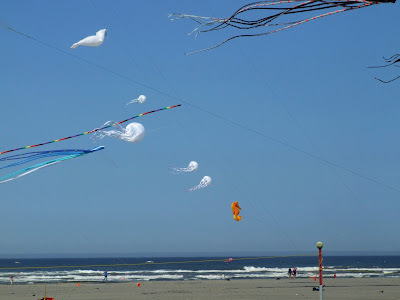 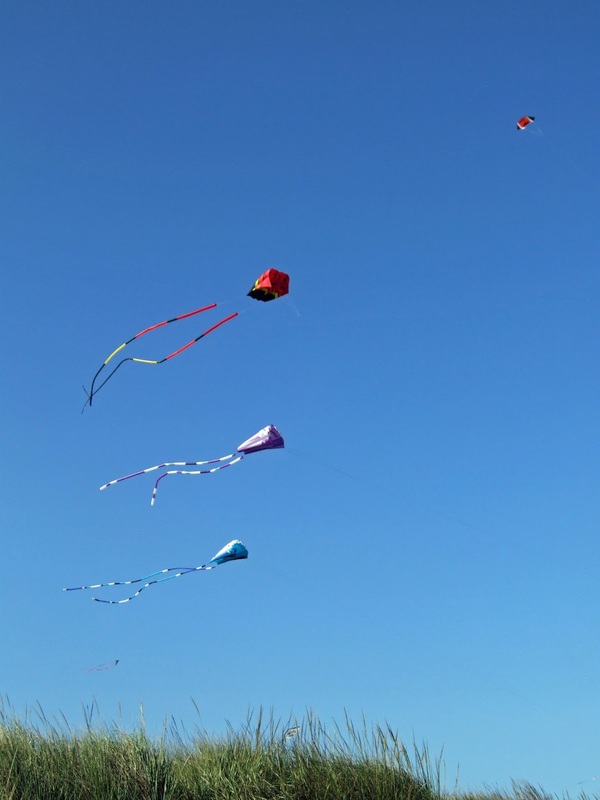 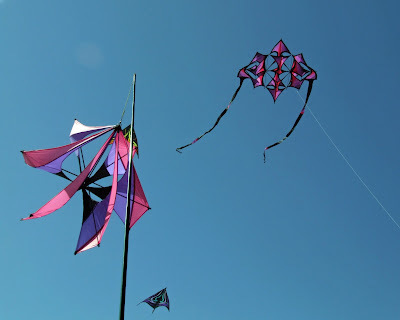 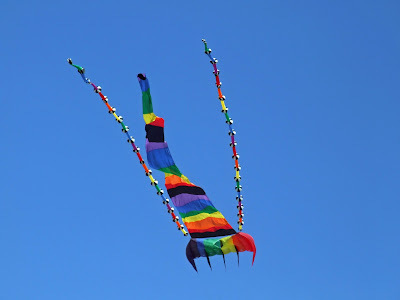 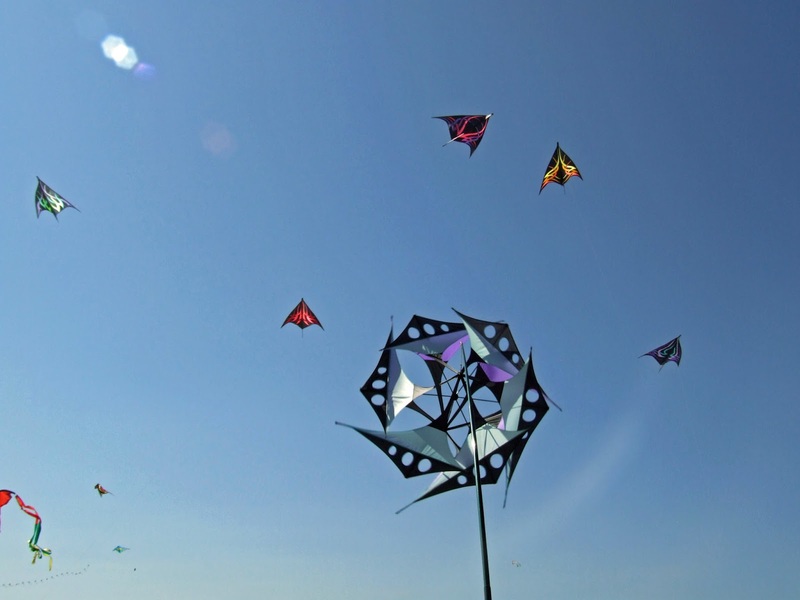 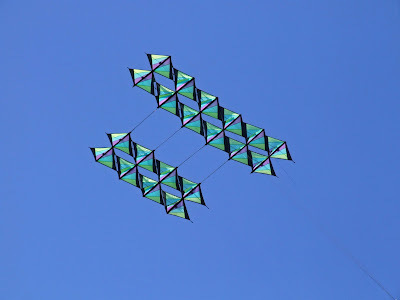 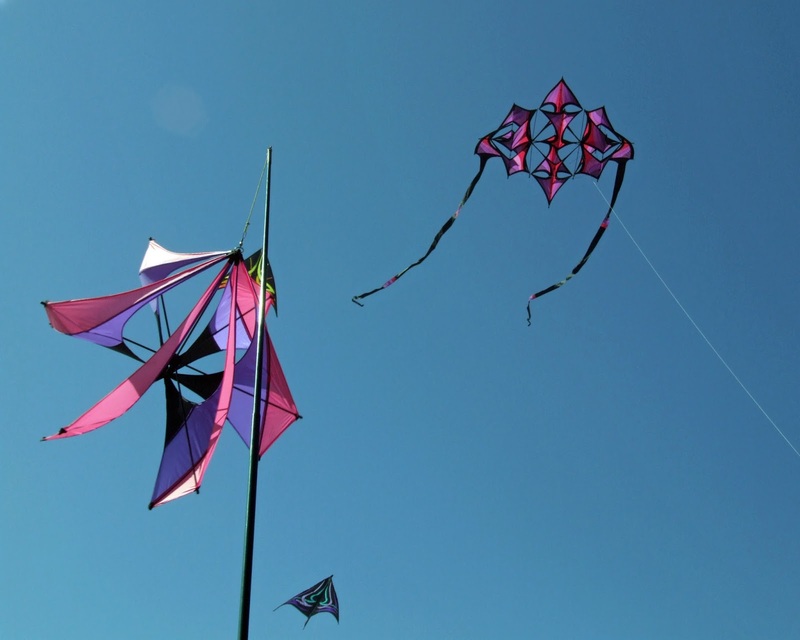 Using traditional Japanese rokkaku kites, contestants to see who can knock their opponent's kite out of the sky (usually by either tangling their kites or by cutting the opponents line with friction). 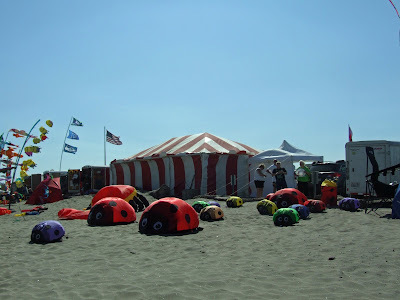 Rokkaku battles are real crowd pleasers. 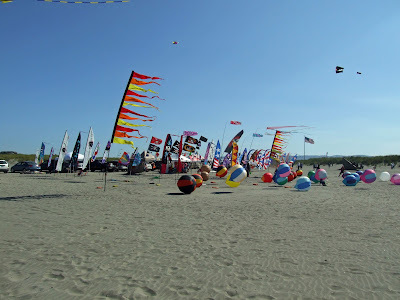 But, somehow, neither Mike, Rhonda or myself managed to be there to photograph or video the event. 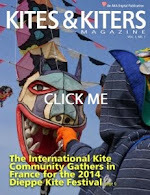 So... here's a YouTube video to show you what traditional Japanese kite fighting is all about. Stay tuned for Day Three. There's all kinds of activities coming up, especially for the kids.